One can easily start noticing the change in how vision is affecting everyday life. But, there is no need to worry about these changes as these are more or less, a part of the aging process. 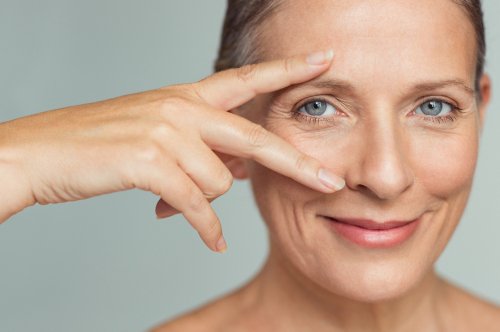 As you age, the susceptibility to suffer from eye problems increase consequentially. That is why; it becomes essential to undergo vision therapy so that you can track and take care of the eye problem that is disturbing you. There are varied eye diseases that are generally associated with the aging process. Here is a list of some of them. As the name suggests, age related macular degeneration affects the macula primarily. It is a centermost area of the retina that is responsible for a 20/20 vision or aptly the sharp vision. When an adult ages; their ability to focus on objects decreases gradually, owing to AMD. Whether it is reading, writing, driving, or identifying colors; AMD affects them in a negative aspect. AMD has two forms, namely; dry AMD and wet AMD. The most common disease is that of dry AMD, accounting for about 90 percent of cases. The remaining 10 percent account for wet AMD, which is more dangerous and may even cause vision loss. If you wish to slow down the progression of AMD, do undergo an eye exam at the earliest. If an adult happens to be a victim of diabetes, their vision is likely to get affected. In the case of diabetic eye syndrome, the blood vessels in the retina get affected. The severity of the problem further leads to leaking or bleeding of the blood vessels. If you avoid this today, you may eventually suffer from permanent eyesight loss. If you are a diabetic patient and have been experiencing double vision or uncontrolled eye movements, it is best to visit an optometrist. In case, the problem gets out of hand; you would have to undergo laser surgery or a vitrectomy surgery. Under normal circumstances, the lenses of the eyes are transparent, clear, and flexible. With age, the flexibility of the lenses decrease, and cloudy clumps of protein may form around the lens, thus hindering perfect vision. Such clouding is known to be a cataract, the most common eye disease in elderly people. Symptoms of cataracts include blurry vision, bad night vision, and color distinction problems. As a matter of fact, there is no cure for cataracts other than surgery. When you visit an eye clinic, the optometrist would suggest you undergo a lens replacement surgery, if the need be. When a number of eye disorders work together to affect the optic nerve badly, glaucoma is what is witnessed. The risk of glaucoma increases once an adult surpasses the age of forty-five. In simple terms, in most of the glaucoma cases, the pressure inside the eyes increases, leading to vision loss. When you visit an optometrist, the optometrist will conduct a comprehensive dilated exam. The treatment to this disease either can be controlled by reducing the fluid produced by the eye or increasing the fluid running down from the eyes. A surgery called glaucoma surgery may also be suggested for amplifying the fluid flow. If any eye problems are bothering you lately, do not worry as vision therapy can help to address all your issues. Remain vigilant, visit your optometrist regularly, and prioritize your eye care for longterm eye health.